This is post #1 of our series on recruiting. Below, we’ll touch upon the main components of the consulting job search and what we believe are the key do’s and key don’ts. Feel free to post comments below or email us with any questions and followups. We want to thank our readers for making these first 2 weeks of blogging a very interesting time – blogging is a 2-way street where the writer learns as much as the readers. We’ve also lined up our first “personalized consultations” (for one college student preparing for summer internships and one recent grad interested in switching industries). Note that each of these sections is worth a long post alone (similar to our first post, Management Consulting and the Consulting Industry 101). This is a Cliffs Notes version for now. Far more common if you’re currently in school (undergraduate, MBA) where consulting firms ranging from Boston Consulting Group to Mercer HR to Kurt Salmon will swarm campuses, giving presentations, holding social mixers, etc in an effort to publicize their firm and identify “high-potential” candidates. Handling a company presentation is like, as a quick sports analogy, being the heavy favorite as a nationally ranked, Division 1 team in a game against an unranked, Division 2 team. In other words – there are 10,000 ways you can mess up, but very few ways to truly beat expectations. This is where the wheat begins to be separated from the chaff. At this point, you’ve decided management consulting is a potential career path for you. You may not be 100% sold over other options (eg banking, accounting, corporate, etc) but are interested enough to invest significant time. 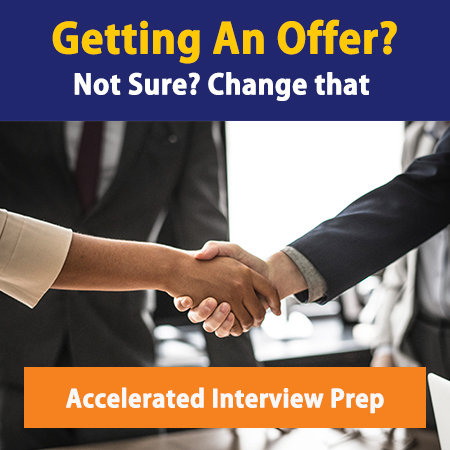 There are many variations of how this process works: if you’re currently enrolled in school, there are typically resume submission periods followed by a selection process to determine who receives interviews. If you’re not in school (or your target firms do not recruit at your school), it typically means submitting your resume through internal friends, HR and recruiting contacts, or even in-person at job/career fairs and waiting indefinitely to hear back. Either way, a top notch resume will ALWAYS STAND OUT. Cover letters, on the other hand, present significantly more room for error and have limited upside. Self-explanatory. Phone interviews are usually fit-oriented, and if done are either because #1, the firm doesn’t have enough resources to immediately hold in-person interviews or #2, you’re a “borderline case” and they need additional information about you and your background to decide. The approach with phone interviews should be to focus on answer quality, and less on building interviewer rapport given the difficulties of doing that over the phone. Cover the bases below and you’ll do fine. Also self-explanatory. If you’ve made it here, congratulations! They clearly think highly of what you’ve accomplished and now want to know you as a person – your communication skills, your on-the-spot thinking and analytical abilities, your presence and personality. This is truly the most difficult part, as I can guarantee that at this point you’re up against some very qualified candidates. To stand out, the keys in management consulting interviews are to really ACE THE CASE, have well-rehearsed but NATURAL RESPONSES to non-case questions, and be well-informed about current business news. Sounds simple, but takes many many many hours of solid preparation to make this happen. Like #1 Company Presentations, there’s not much upside but you can do a lot to ruin your prospects. Be patient and focus on other priorities – and NEVER STOP LOOKING FOR OTHER JOBS. CONGRATULATIONS! You’ve done it. It’s extremely difficult to receive offers from management consulting firms – their scale is simply an order of magnitude smaller than financial service firms (as an example, McKinsey’s New York office, one of their largest, occupies about 10-15 floors of one skyscraper. Goldman Sachs in New York has 3 skyscrapers all to itself). Now is time for thorough due diligence and diplomatic negotiation if necessary regarding final terms, start date, etc. Again, congratulations on a job well-done and welcome to the challenging and wonderful world of strategy and management consulting. Still wondering if you’ll make it through recruiting on top? Our Networking Bible is an excellent resource that gives you insider tips on what not to do, what to do and how to leave a memorable impression throughout the whole recruiting process.